We are your multidisciplinary team of nurses, doctors, and administrators. Together, we aim to provide you with healthcare that is tailored to your needs, in an environment that is caring, safe, and welcoming. Interested in becoming part of the team? Contact us! Dr Saif Aswad moved to North East Victoria in 2017 after working in Emergency Medicine in Sydney and Perth. 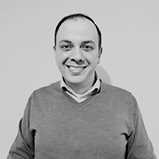 Dr Aswad joins us to complete his final years as a GP Registrar, he enjoys all areas in General Practice and has a specific interest in Chronic Disease Management and Dermatology. I enjoy the variety that comes from General Practice. No two days are ever the same. I have specific interest in preventative health, type 2 diabetes, heart disease and men's health in general. I want to help people to help themselves. Personal interests include rugby union (Go Melbourne Rebels! ), walking, and keeping fit. Patients find me approachable and will warm to my sense of humour. I have very recently joined the practice. Before coming to Australia, I worked in remote areas on the Isle of Arran in Scotland for 7 years and have been with the lifeboat there as crew and doctor on board. For my doctorate, I have done research on sepsis in Germany. I am a GP at heart but have also worked extensively in elderly care, accident and emergency and pre-hospital medicine. In private life, I enjoy walks, fishing, working with computers or just simply spending time with my family. I am married with two children. 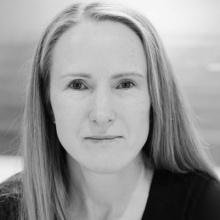 Dr Belinda Jennings was born and raised in Melbourne. 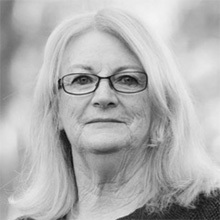 Dr Jennings initially pursued a career in Pharmacy, completing a Bachelor of Pharmacy at La Trobe University, Bendigo. 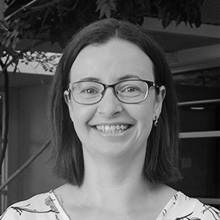 Dr Jennings worked as a Pharmacist in both community and hospital pharmacies before embarking on her medical career at Deakin University, Geelong. After graduating with a Bachelor of Medicine and Bachelor of Surgery, Dr Jennings completed her residency at Barwon Health Hospital, Geelong, gaining considerable experience in Surgey, Women’s and Children’s Health and Emergency Medicine. She has completed further study in a Certificate of Emergency Medicine and a Diploma in Child Health. Outside of work Belinda loves spending time with her husband and young family and exploring the great outdoors. I am interested in people and their story. I love listening and trying to get to the root of the problem. My specific interests are Women's Health, Sexual Health and Mental Health. Interests outside medicine are reading, being with friends and family and travelling. Dr Yen Pham was born and raised in Vietnam. 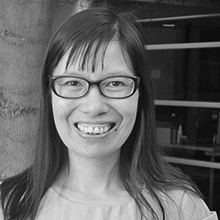 Dr Pham has a love for teaching and education, graduating from RMIT with a Bachelor of Science before completing a MSc and PhD in Biochemistry. She then continued with further study, obtaining a Bachelor of Medicine and Bachelor of Surgery at University of Sydney. Dr Pham completed her residency at Hornsby Hospital, gaining considerable experience in Child Health, General Medicine and Emergency Medicine. She currently holds a Diploma of Child Health. Outside of work Yen enjoys looking after her family and has a passion for cooking and gardening. Dr Phillips is a local resident who completed her medical degree and training in both regional NSW and VIC. She enjoys working and living in rural communities, providing medical care for a wide range of patients. Dr Phillips joins us as a GP Registrar – a fully qualified doctor undertaking specialist training as a general practitioner. I enjoy working in North East Victoria and have a specific interest in Women’s Health. Having spent my first year in General Practice at Eurora, I’ve joined Shepparton Medical Centre to complete my final year as a GP registrar – a fully qualified doctor undertaking specialist training as a general practitioner. I believe in working together with my patients and their carers to achieve their optimum health - this usually involves more than just medicine. I also aim to practice using only evidence-based approaches. My specific interests are preventative medicine particularly cancer, diabetes and cardiovascular disease. I have recently commenced a certificate course in skin cancer medicine through the Skin Cancer College of Australasia. I am trained in the use of dermoscopy to look for skin cancer and I am happy to perform skin checks and minor surgery when appropriate. I also enjoy talking with my patients about exotic food, soccer and travel! Dr Stephanie Tabner graduated at Hull York Medical School in the UK and has been working as a general practitioner in the UK for the past few years. Dr Tabner enjoys all aspects of general practice including Women’s Health, Aged Care, Minor Surgery, Emergency Medicine and teaching medical students. In her personal time, she loves skilling, travelling, the outdoors, live music and playing in a rock band. I love working in General practice for the variety of patients that we see and hopefully help. It gives me a lot of satisfaction when I have helped clients with preventative health, or when parents are relieved because their child's immunisation was less traumatic than they imagined. I enjoy working with other nurses and doctors and love the input that we can have in the care of clients. From pregnancy to the end of life, I just enjoy helping people and making a difference in a positive way. I enjoy going to the gym - practicing what I preach! Love spending time with my family and friends, especially coffee catch ups. I have had the privilege of working as a nurse for over 35 years. I have worked in a variety of settings, including hospital, community health, rural and remote areas, and general practice. My background is midwifery/lactation consultancy. My role now in general practice is preventative health care across all ages. A current focus is diabetes prevention and management – working to improve diabetes outcomes through building self management skills in our clients. I believe in living well with chronic illness. I have been a nurse in general practice for 15 years. I love the diversity of skills required in general practice - so different from working on the wards! I am passionate about immunisation, wound care, healthy lifestyle and QUIT counselling. My personal interests revolve around my family, travel and reading. Goulburn Valley Health Pathology Collection Centre is co-located in our premise and offers the community access to a pathology collection centre Monday to Friday from 8.45am – 2.15pm. Outside of these hours, the nearest Goulburn Valley Health Pathology Collection Centre is at the Goulburn Valley Health hospital site.